According to Acupuncture and Integrative Medicine College in Berkeley, CA, apple cider vinegar has lots of healing benefits. It has been used for hundreds of years by traditional healers. It’s alkaline property assists your body in restoring proper pH levels and brings health and balance back to your digestive system. Rich in potassium apple cider vinegar helps to prevent brittle teeth, hair loss and runny noses. The pectin (from the apples) helps to regulate blood pressure and Malic Acid gives apple cider vinegar the healing properties of being anti-viral, anti-bacterial & anti-fungal. She recommends to always use the organic raw, unpasteurized and unfermented apple cider vinegar and suggest looking for it in a glass container, (preferably dark glass), to protect it’s nutritional qualities from sunlight. Once opened, it is important to keep your apple cider vinegar ‘alive’ by storing it in the refrigerator. For me, I even had one of those earth shattering dreams which prompted me to start drinking apple cider vinegar each day. I started with a shot of apple cider vinegar, which is how I saw it in my dream. I made that mistake just once, as it almost wiped me out. I now put a few teaspoons in a warm glass of water to dilute it, and then drink it with a straw as fast as I can so I taste it as little as possible. (Yes, I am a wuss). 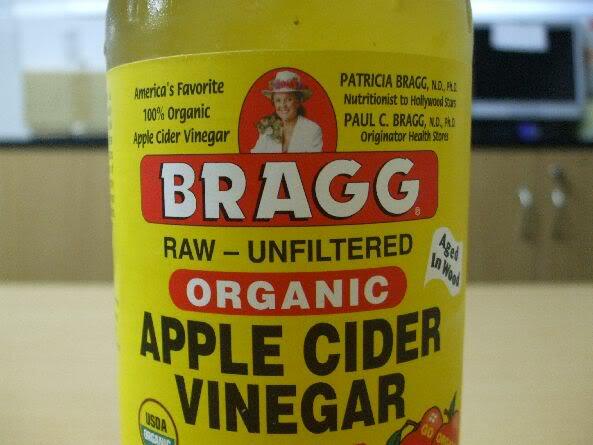 Tagged apple cider vinegar, detox, digestion, stomach acid, weight loss. Bookmark the permalink.